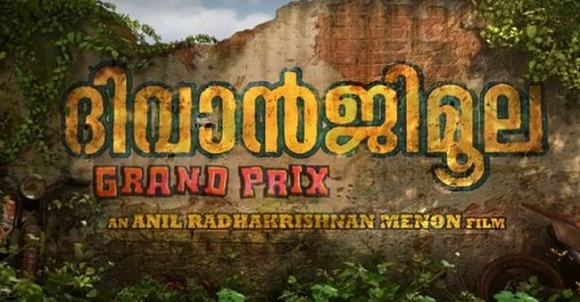 'DIWANJIMOOLA GRAND PRIX' MALAYALAM MOVIE WIKI, RELEASE DATE, CAST, CREW, OFFICIAL TRAILER INFO STARRING KUNCHACKO BOBAN, DIRECTED BY ANIL RADHAKRISHNAN MENON DETAILS PROVIDED HERE. MOLLYWOOD FILM DIWANJIMOOLA GRAND PRIX RELEASE DATE IS 05-01-2018 (5th January) AND also stars Nyla Usha, Nedumudi Venu, Vinayakan, Siddique, Sudheer Karamana in important roles. This film is of genre DRAMA. the director of this film Anil Radhakrishnan Menon has earlier directed superhit award winning movies namely North 24 Kaatham, Sapthamashree Thaskaraha, Lord Livingstone 7000 Kandi. the protagonist of this film Kunchacko Boban recently acted films are Chirakodinja Kinavukal, Madhura Naranga, Jamna Pyari, Rajamma at yahoo, Valiya Chirakulla Pakshikal, Vettah, Valliyum Thetti Pulliyum Thetti, Shajahanum Pareekuttiyum, School Bus, Kochauvva Paulo Ayyappa Coelho, Take Off, Ramante Eden Thottam, Varnyathil Aashanka. the heroine of this flick Nyla Usha was part of cast of films Kunjananthante Kada, Punyalan Agarbattis, Gangster, Fireman. Nedumudi Venu has acted in movies namely Hello Namasthe, Oppam, Pinneyum, Mayamalika, Avarude Ravukal, Oru Visheshapetta Biriyani Kisa, Pokkiri Simon, Udaharanam Sujatha. Vinayakan has acted in films Aadu (1,2), Role models, Kammatipaadam, Kali, Chandrettan Evideya, Njan Steve Lopez, Iyobinte Pustakam, Masala Republic, Daivathinte Swantham Cleetus, 5 Sundarikal to name a few. KUNCHACKO BOBAN DIWANJIMOOLA GRAND PRIX THEATRICAL TRAILER, MOVIE PRODUCED BY MARS ENTERTAINMENT, SILVER OCEAN, GRAND PIXELS, DIRECTED BY ANIL RADHAKRISHNAN MENON.